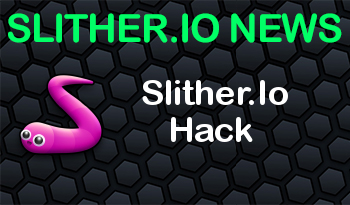 In this article we have decided to inform you about the slither.io hacks and discuss whether is it possible to use any slither.io hacking tool while you are playing the game or before you run the game. We all see many articles and topics about how you can hack the slither.io and win an advantage for those who do not use hack. First of all let us tell you that hacking the game is possible but you should not that you have to play offline. This means that you can take the advantage of hacks however cannot use them against other players since the game will be offline in your device. This is why it is not recommended to take the advantage of slither.io hacks since you will only have to play with yourself. You may try these hacks in the event that you are really bored and willing to try something new while you are on your own. Most of the articles about the hacks in slither.io on the internet contains content regarding the tips that you can do during the game but these are not real hacks that you can take the advantage of. Although those which contain real hacking tips will make your game offline. Keep in mind that mostly you will have to use third party tools which usually contain quite a lot of malware that can damage your device and steal your personal information. So it will be good for you to have a good virus protection on your device before you download them. There are many websites that claim that they offer slither.io hacks but most of the are totally built for delivering malicious software. This is why you have to be careful before you download or visit any page for your own safety.